"How did you come up with the name 'durrrr'?" is almost always the first question asked of 22-year-old poker professional Tom Dwan. He'll tell you that he wanted to select a screen name that sounded so ridiculous, so inane that it would put players who lost to him on massive tilt. In the end though, Tom Dwan's phenomenal success in the poker world would have much less to do with his absurd screen name than with his uncanny instinct for detecting weakness in his opponents, whether playing online or live. In only five years, Dwan has gone from a bored high school senior playing in after-school games to succeeding at the highest limits in poker against some of the best players in the world. 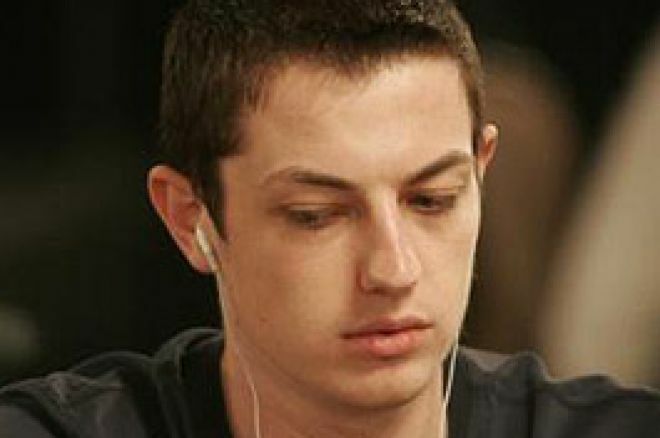 Tom Dwan was born in 1986 and grew up in Edison, New Jersey. His first experiences with hold'em came when he and his friends discovered play money sit-'n'-goes on Empire Poker. Dwan instantly took to the game and thought it might be a good way for him to earn extra spending money for college. He deposited $50 on Paradise Poker and began building a bankroll, starting with $6 SNGs. Dwan was instantly successful and quickly moved up in limits. He also started playing no-limit hold'em cash games on Paradise—primarily $1-$2 NL and the occasional $2-$5 game that would come together on that site. Once he conquered those limits, he moved over to PokerStars where he multi-tabled $2-$4 and $3-$6 NLHE. By his 18th birthday he had already made about $15,000 online. Dwan enrolled at Boston University as an engineering student, but as is the case with many young poker pros, his college experience didn't last long. Playing anywhere from $5-$10 to $25-$50 NLHE, Dwan's bankroll grew to the hundreds of thousands while his attendance in class dwindled. Eventually, he dropped out of school to play full-time. He bought a house in Texas and moved in with fellow online player David "Raptor" Benefield. Dwan continued to move up in limits and after playing for only a couple of years, he was sitting with players such as Patrik Antonius, Phil Ivey, and David Benyamine and beating limits as high as $200-$400 no-limit hold'em and pot-limit Omaha. Due to his age, Dwan was unable to play in live tournaments in the U.S. until his 21st birthday on July 30, 2007. This resulted in him missing out on the World Series of Poker in 2006 and 2007. Dwan did collect one cash on the European Poker Tour, a 12th-place finish in the 2005 EPT London, preferring to concentrate on the lucrative high-stakes online cash games rather than travel the international circuit. However, once he did blow out those 21 candles, he hit the tournament trail and emerged as a force to be reckoned with, amassing nearly a million dollars in live winnings in less than a year. At the 2007 WPT World Poker Finals at Foxwoods, Tom Dwan made the televised final table and ultimately finished fourth, earning nearly $325,000. Two months later at the 2008 Aussie Millions, he finished runner-up to Lee Watkinson in the $3,000 pot-limit Omaha event, and cashed in the $10,000 Main Event, earning over $112,000 during his two weeks down under. A few weeks later he was clear across the world in Atlantic City and nearly had his first live tournament win, finishing runner-up to fellow online superstar Mike "SowersUNCC" Sowers at the $5,000 NLHE event at the Borgata Winter Open. He capped off the World Poker Tour Season with a ninth-place finish at the WPT World Championships at Bellagio. The event was especially memorable for Dwan not only because of his deep finish, but for the series of ridiculous hats he had to wear as a result of losing a prop bet to poker pro Alan Sass (one was covered in pink feathers, another looked like it was swiped from the Chiquita Banana lady). At the 2008 World Series of Poker Tom Dwan was at last of age to play and he wasted no time racking up more deep finishes. The first came in the inaugural $10,000 Mixed Event, featuring an eight-game rotation of poker variants (2-7 triple draw, the five limit H.O.R.S.E. games, no-limit hold'em and pot-limit Omaha). At a final table that included James "mig.com" Mackey, Eli Elezra, Sam Farha, Jeff Madsen, and eventual winner Anthony Rivera, Dwan finished in eighth place. Five days later, he bubbled off the final table of the $5,000 No-Limit Deuce-to-Seven Draw Lowball with Rebuys event in eighth place. Dwan admitted in an interview with PokerNews that prior to that event his total lifetime experience with the game had been about thirty minutes' worth of hands during a single session in Bobby's Room at the Bellagio. Post-WSOP, Dwan has been back at the cash games in a major way, racking up the hours in the nosebleed-stakes PLO games on Full Tilt as well as in Bobby's Room. When he's not traveling the circuit or chasing down high-stakes games in Vegas, Dwan splits his time between residences in Texas and Boston.